The Chelsea Hotel in New York City was home to a number of artists, writers, and musicians. The red brick building that sits on 23d street rented rooms both by the day and by the month. During the 60’s you could rent a workshop for $300 a month, or a room for $8 a day. This attracted a wide range of individuals from Mark Twain to Bob Dylan, as well as several artist like Andy Warhol and a number of the Nouveaux Réalistes like Yves Klein, Arman, Jean Tinguely and Niki de Saint Phalle. It was where Saint Phalle stayed for a time in 1962 and again between 1964-65, creating several pieces while she was there. 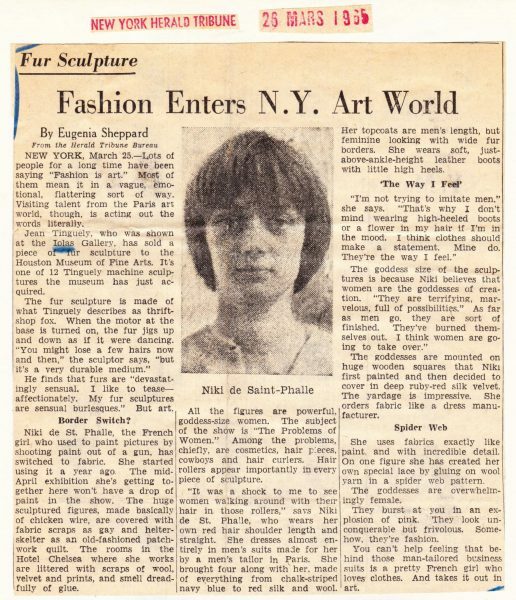 After her show at the Stedelijk Museum in Amsterdam in 1962, Niki de Saint Phalle returned to New York and took up residence at the Chelsea Hotel. She began working on one of her shooting paintings, “Gorgo in New York” that was shown at the Alexander Iolas Gallery later that year. It became a part of the Menil Collection and was later gifted to the Museum of Fine Arts in Houston. 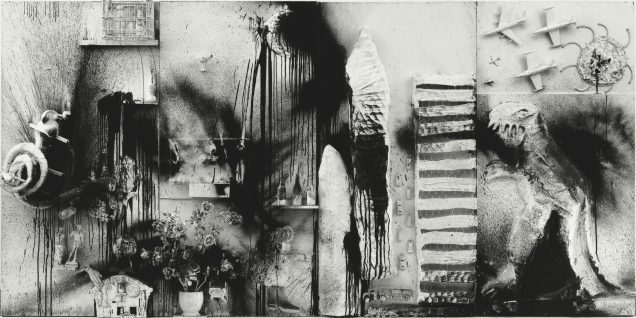 Niki de Saint Phalle left the Chelsea Hotel in 1963 and moved with Jean Tinguely to France. It wasn’t until late 1964 that she returned to the hotel and both artists rented rooms, Saint Phalle renting two as she began producing a great number of pieces. In early 1965, a number of Saint Phalle’s pieces still are made of found objects and toys. The Bride and Astarte’s Wake are two pieces Niki de Saint Phalle created where she still uses these materials but where we also see fabrics introduced. While staying at the Chelsea Hotel, Niki de Saint Phalle wrote to her friend Pontus Hulten saying she was “working like a tiger”! When he came to visit in March 1965, he was amazed to see the amount of work Saint Phalle was producing. She continued working with fabric and yarn, glueing the pieces with great intricacy and detail. She created patterns without paint, laying out bands of color that swirled and curved across the figures, seeing the birth of Saint Phalle’s early Nanas. 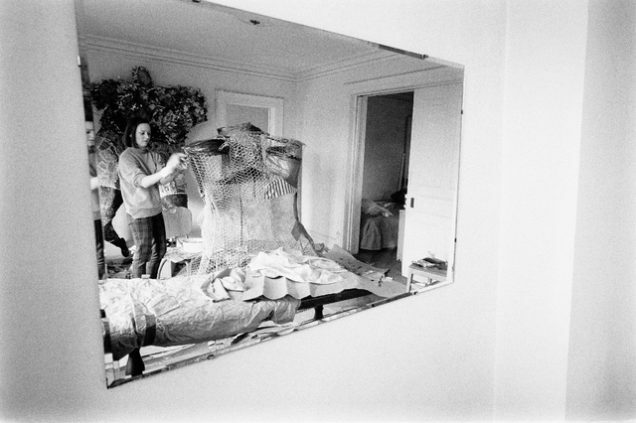 During this time, Niki de Saint Phalle was further inspired by her friend Clarice Rivers. Clarice and her husband, artist Larry Rivers, lived in the Southampton’s on Long Island while Clarice was pregnant in late 1964. It was late spring of 1965 that Saint Phalle made a number of the Nanas, with Clarice’s pregnancy having inspired her. 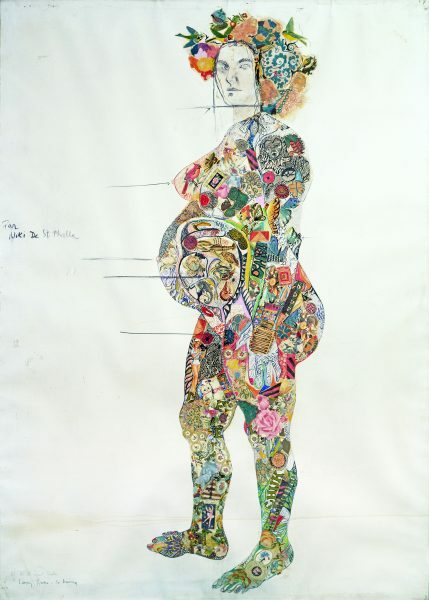 Niki de Saint Phalle also did a collaborative piece with Larry Rivers. Rivers drew Clarice in profile with a full pregnant belly that Saint Phalle then filled in with a collage of colorful strips of paper and cut out images. This piece was later given to Clarice’s daughter, Gwendolyn. In August 1965, Niki de Saint Phalle and Jean Tinguely leave the Chelsea Hotel. Saint Phalle returned to her home in France while Jean Tinguely traveled to Brazil with Pontus Hulten. When the two men returned to France, the workshop had been completely taken over by Nanas. In September of that same year that Saint Phalle’s Nanas are exhibited for the first time at the Alexandre Iolas Gallery in Paris. 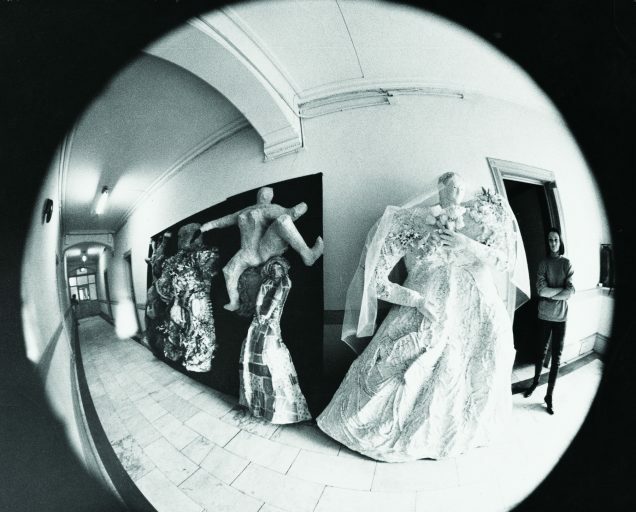 While Saint Phalle worked on her sculptures in 1965, photographer Yves Debraine visited the hotel and documented a number of artists staying there. An exhibit, “Chelsea Hotel, New York 1965” is now open at Espace Jean Tinguely – Niki de Saint Phalle Museum of Art and History in Fribourg, Germany through September. 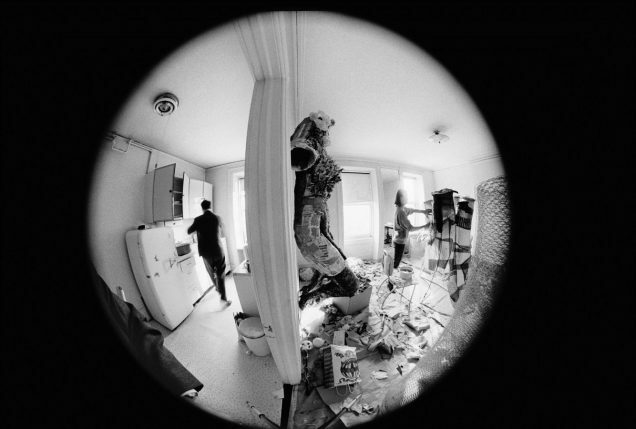 A number of Debraine’s photographs show Niki de Saint Phalle and Jean Tinguely during their stay at the Chelsea Hotel. 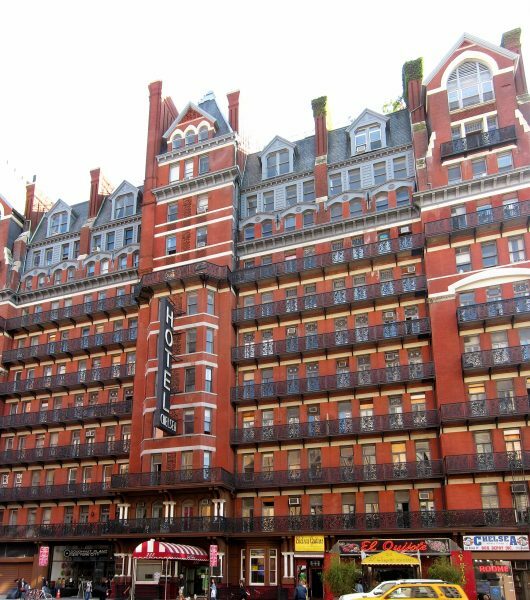 In August 2011 the Chelsea Hotel closed for renovations. With several owner changes since then and construction complications due to tenants still occupying a number of units, the work has been slow going. The Chelsea Hotel plans on maintaining a hotel-residential mix, even keeping some rooms in their original state, for example the preservation of the unit once inhabited by poet Dylan Thomas. However, after years of renovation work and hurdles, the hotel plans to reopen sometime this year.